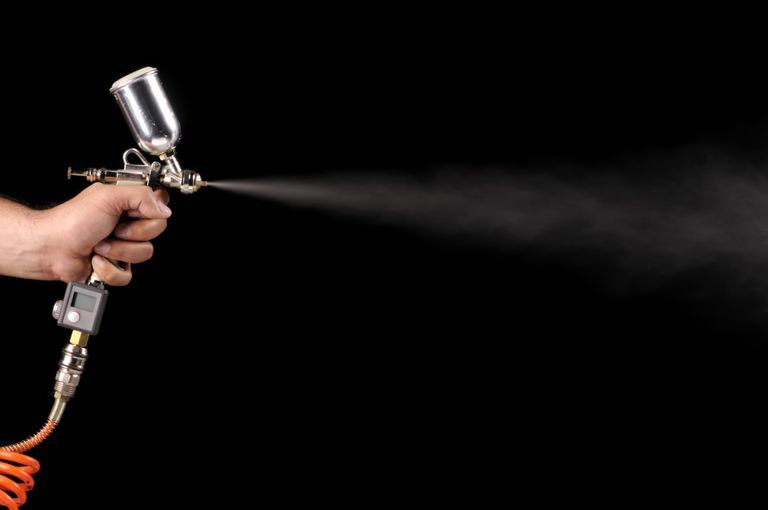 High-pressure tools, such as paint guns, are used in a wide number of industries and home improvement projects. Some of these high-pressure tools have tips that spray paint, oil, or chemicals from a gun-like tool. While efficient and effective, these tools can cause serious injuries, and often these injuries don't seem as severe as they really are. Most of these injuries result from the use of tools by laborers or home improvement DIYers, and often occur during cleaning or clearing a clogged tip from a spray gun. Usually, the injuries don't look severe, just a tiny puncture wound. Almost all occur in the hand, and typically at the tip of a finger. The pressure of these injection injuries can be up to 10,000 PSI, and the fluid traveling out of the tip of the gun is often moving at 400 MPH. This causes the fluid, often noxious chemicals, to be forcefully expelled into the hand and finger, An injury to the tip of the finger can force paint, grease, or other chemicals, all the way down into the palm of the hand. The result of the chemicals being forcefully injected causes several problems. In addition to the initial injury, there is a subsequent chemical injury, that is often followed by infection. Therefore, the injuries are often deceiving to both patients and doctors unfamiliar with the severity of this type of problem. Initially, the injury looks like a simple poke hole to the tip of a finger, but without aggressive treatment, they can result in the need for amputation. Many different chemicals can be found in high-pressure injection guns, with the most common being paint, grease, hydraulic fluid, and paint thinner. The nature of the substance injected will determine the extent of the chemical injury. For example, oil paint injection injuries to the finger require amputation in over half of all reported cases, whereas latex-based paint injection injuries to the finger result in amputation less than 10% of the time. High-pressure injection injuries are notoriously difficult to recognize and often under-diagnosed by both patients and doctors. After the initial injury, a small entry injury is seen, but there may be little or no pain, and many patients have a good mobility of the hand and fingers. However, as time passes, and inflammation and chemical irritation increases, the symptoms typically become severe. Urgent treatment is ideal, but often there is a delay in making the diagnosis. The average time that passes between the injury and a diagnosis is 9 hours, and some take much longer to get to appropriate medical attention. Once a high-pressure injection injury has been diagnosed, the next step is most often to proceed with surgery to clean the chemical out of the hand or finger. In some rare circumstances, for example, high-pressure water or air gun injuries, surgery may be avoided unless the finger looks to have sustained damage that threatens the blood supply to the tissues (a condition called compartment syndrome). When surgery is performed, it is critical to understand how far away from the puncture site the chemicals can travel when injected under high pressure. The entire area of contamination is opened surgically and washed out. Most often the incisions are left open to allow for management of the wound. Depending on the degree of contamination, medications may be used to help limit the potential for complications. Steroids, a powerful anti-inflammatory medication, may be administered to help reduce swelling. Antibiotics are often administered to help prevent infection. As stated, there are many factors that influence the severity of the injury, most importantly seems to be the material that is injected into the body. Prompt treatment and aggressive surgical debridement are also thought to be important. Despite this treatment, the chance of requiring amputation is still significant. In addition, complications including stiffness and persistent pain are common.